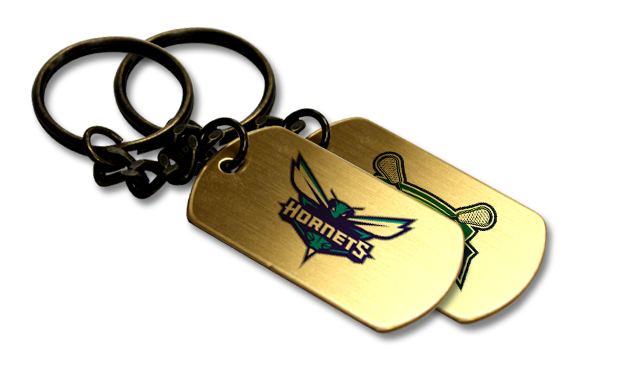 This solid brass dog tag can be customized with your inscription or logo and comes complete with a 2 1/2" long gold plated keychain that has interlocked rings. One side Polyetch imprint is included in price. A second side Polyetch imprint can be added for additional $1.00 per piece.